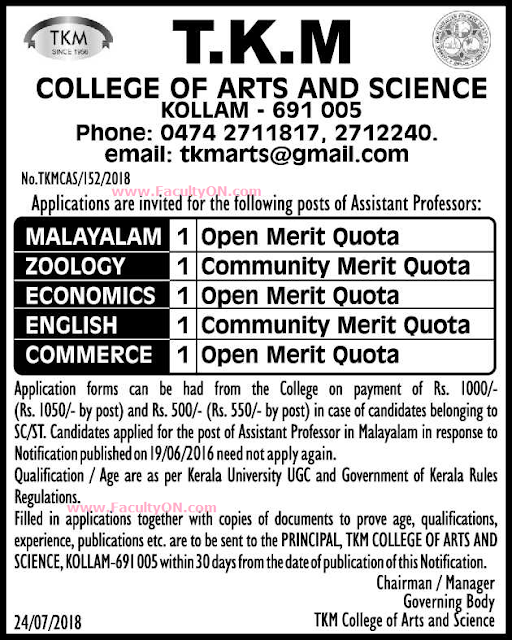 TKM College of Arts and Science, Kollam has advertised in THE HINDU newspaper for recruitment of Assistant Professors jobs vacancies. 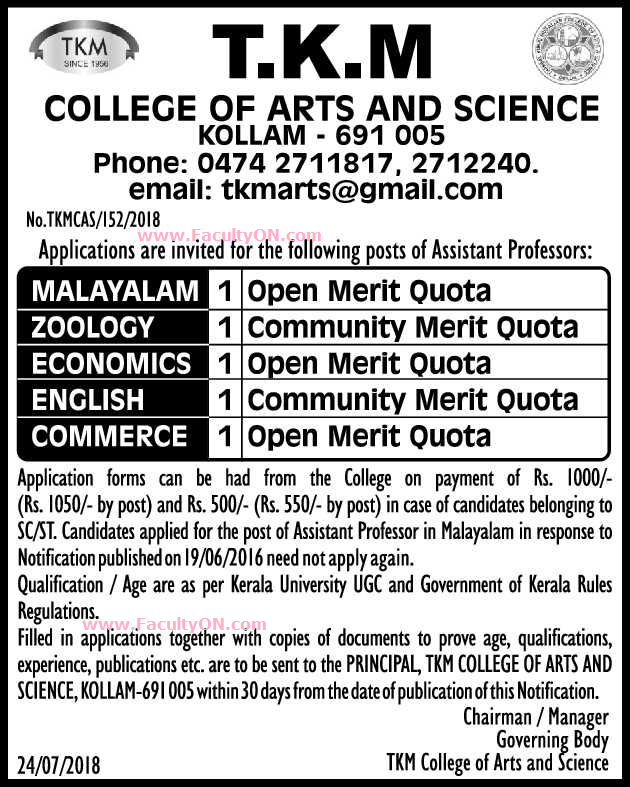 Interested and eligible job aspirants are requested to apply within 30 days from 25th July 2018. Check out further more details below. How to Apply: Interested and eligible candidates are requested to send filled-in application along with copies of documents to prove age, qualifications, experience, publications, etc to the postal address mentioned below.